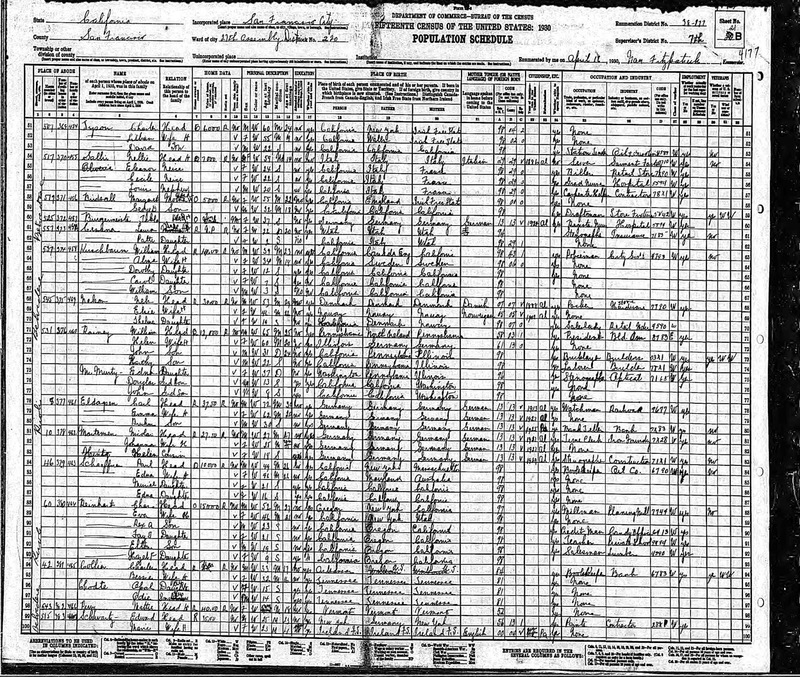 Genea-Musings: Treasure Chest Tuesday - 1930 U.S. Census Record for Paul Schaffner Household in San Francisco, Calif.
Treasure Chest Tuesday - 1930 U.S. Census Record for Paul Schaffner Household in San Francisco, Calif.
1930 United States Federal Census, San Francisco County, California, population schedule, 27th Assembly District, Enumeration District 177, Page 21B, Dwelling #379, Family #463, Paul Schaffner household, online database with digital image, Ancestry.com (http://www.ancestry.com : accessed 26 July 2009), citing National Archives Microfilm Publication T626, Roll 201. 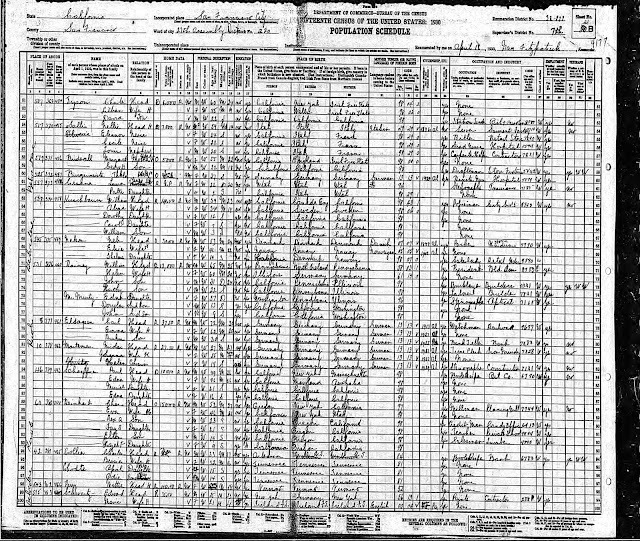 Paul and Edna (McKnew) Schaffner married in 1906, and had two daughters, Muriel and Edna Schaffner. Edna Schaffner (1913-1979) is my wife's mother, and Paul and Edna (McKnew) Schaffner are my wife's maternal grandparents.